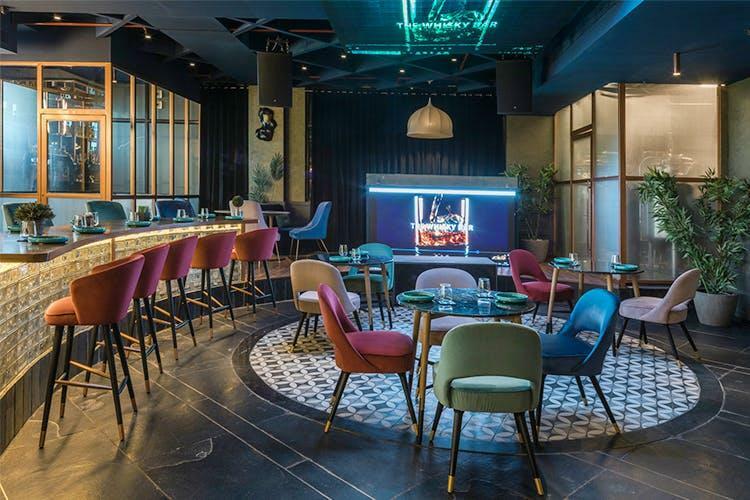 Innovation is the name of the game when an eatery jostles for space in a complex that houses some 50 other outlets and The Whisky Bar in this tech hub has done it in style with 111 brands of the amber brew and a 60-foot-long bar complete with a conveyor belt. "There are some 50 restaurants in this complex. How do we stand out? We have the largest collection of whiskeys in north India. We are the only one with a 60-foot-long bar counter. 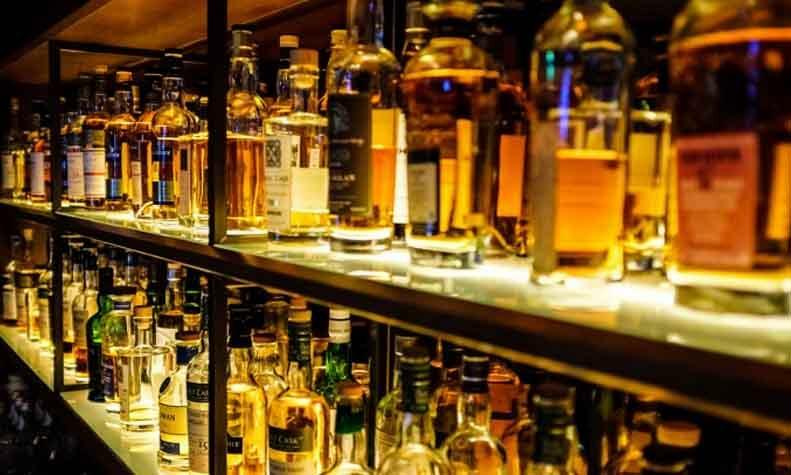 Wherever you are seated (at the bar), your drink will come to you thanks to the conveyor belt," The Whisky Bar General Manager Haroon Khan told as he served up a freshly-brewed Jagamiser German beer in a shot glass. "Just to demonstrate how versatile we are. Apart from the micro-brewery and the whiskeys, we also stock 60 other brands of alcohol and serve a tastefully crafted global street cuisine to suit Indian taste buds. Our guests are certainly spoilt for choice," Khan added. 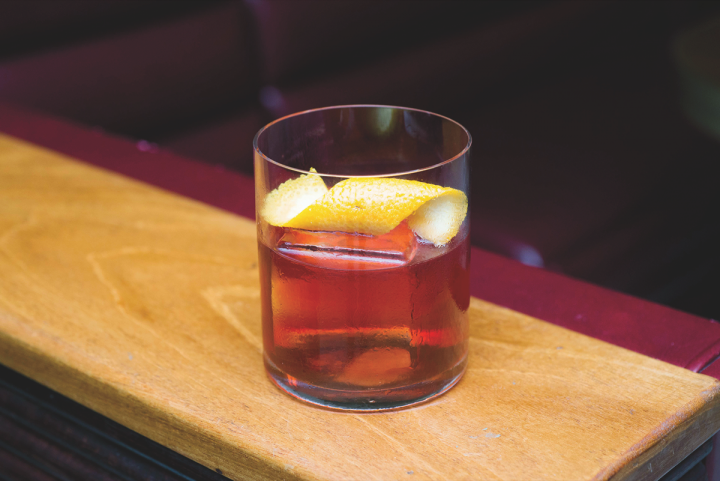 That they certainly are, what with an 18-page drinks menu that features a huge selection of brands that are old, rare and obscure whether your preference is Bourbon, Rye, Scotch, Japanese, Irish, Indian or Taiwanese. While this menu was being perused, Mixologist Gautam Dhyani laid on the table a Martini Bianco -hibiscus-flavored vodka and tonic water. "Today is a hot day, this will cool you down," Dhyani said. It sure did. It also gave one an opportunity to scam the 155-cover outlet spread over a 6,000 sq ft area. With its modish interiors, the major attraction is a LED placed on one of the roofs, enhancing the effect. The seating at the bar is also rather unique: eight high tables spread along its length with two high chairs at each one. Thus, you sit opposite each other and avoid showing your back to the rest of the diners. It all made for a rather homely and intimate ambiance. 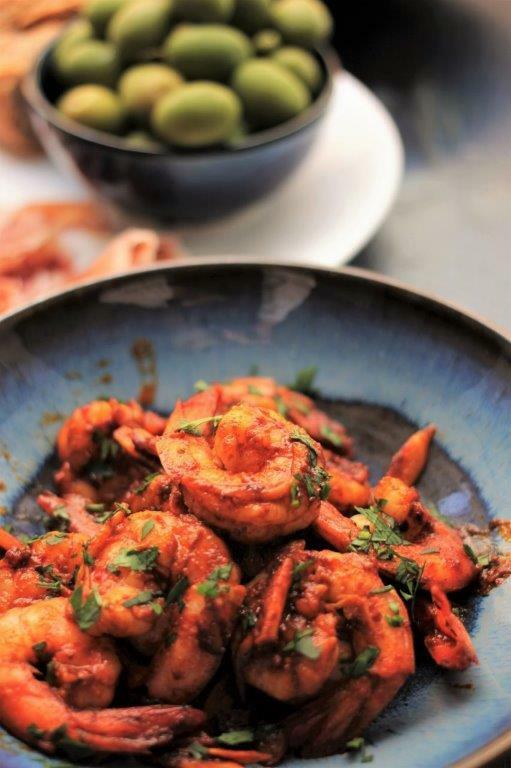 Chef Kulbeer broke my reverie by serving up a prawn butter garlic with a mindboggling variety of ingredients: Olive oil, chopped coriander, garlic and green chili, crushed pepper, white wine and, of course the prawn, all this resting on a largish piece of garlic bread. Accompanying this was a Dapper Hush - bourbon, pomegranate saccharum, drambuie and elderflower liqueur. It was a riot of flavors but came together in perfect harmony. "Here, fresh ingredients, secret recipes, and happy innovation combine to breathe life into a menu that pampers palates across tastes and lifestyles," Chef Kulbeer explained. Next up was an Achari Salmon Gravlax, the Deggi Mirch and sea salt serving to enhance the flavors of the other herbs, and it disappeared quickly - the Aachari cream, with its combination of mustard oil, paanch phoran, curry leaf and a whole red chili providing the incentive to hurry things up. 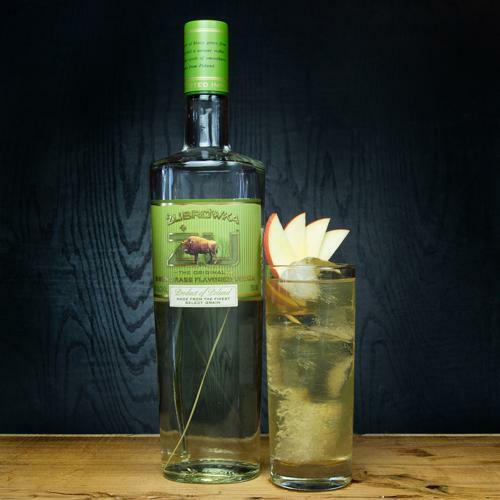 "It's time for a change of cocktail," declared Dhyani, offering a Remember the Maine comprising Whiskey, Vermouth and Orange bitters, with the inside of the glass coated with absinthe. It certainly was unusual but set the tone for the kataifi-wrapped Aachari Arabi and the Shetty Hotel Roast Mutton Chop -- a huge chunk of meat marinated in Mangalorean masala and accompanied by a Malabari Paratha that followed in quick succession. True to its name, the Arabi was nice and tangy with the kataifi wrap (a kind of pastry) making it crunchy, while the paratha provided the perfect accompaniment to the succulent mutton chop. "You can, of course have a full meal here but the accent is on nibbles as this helps the conversation flow," Khan explained. To this end, the crockery comprised not your conventional plates but shallow bowls the size of a side-plate, so that the food doesn't spill if one eats with one's hands. I was about to call a halt to the repast but Kulbber would have none of this as he served up a Ghenoffee Pie while Dhyani had a rather wicked gleam in his eye. The slightly sticky pie had a base of sweetless Ghewar, oodles of dark and white chocolate and a generous helping of fruit - orange wedges, pomegranate, gooseberry, raspberry and strawberry. Ordinarily, it would have been the perfect end to a very satisfying meal but then the gleam in Dhaiya's eyes was translated into reality via A Night cap - Whiskey, Khalua, homemade banana chips, grated nutmeg and a dash of Irish cream. What more could one ask for on a lazy Sunday afternoon?